Interactive audio conferences and CDs or MP3s are a simple and inexpensive way to get insight and guidance on late-breaking legal developments that affect your hospital. Get answers to your questions during the question and answer session at the end of each audio conference. And, participation in our audio conferences often qualify for Continuing Education Credit (see each specific audio conference for more information). You can include as many people from your hospital as you like for one low price. 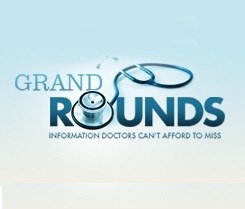 Register for the 12-month Grand Rounds Audio Conference Series for just $1,850 (one line). Click here for more information. Join us the first Tuesday of every month. Click on the above link to view the variety of subjects offered. Open to all Medical Staff members, the 2019 Grand Rounds have been specifically designed as direct education for being a Medical Staff Leader. Essential information is provided for Medical Staff Officers, members of the Medical Executive Committee, Department Chairs, Chairs of the Credentials and Peer Review Committees, and the Chairs of other key Medical Staff committees. These audio conferences are of incredible value for Medical Staff leadership new to any of these positions! Click here for a Grand Rounds 2019 registration form to print and fax to us at 412.687.7692. For Hospital and Medical Staff leaders unable to tune in “live,” HortySpringer is pleased to offer recordings of our past audio conferences for sale. Please note that these audio conferences include previously-recorded content. Due to the nature of audio recordings, these items are not updated. The majority of our audio conferences qualify for Continuing Education Credit (participation only).